RMBoy Graphics Pack| RPG Maker | Create Your Own Game! Create games with an original retro feel! With this 4 color palette, including a really cool plugin that lets you limit the screen to 4 colors, each map can have its own unique palette! 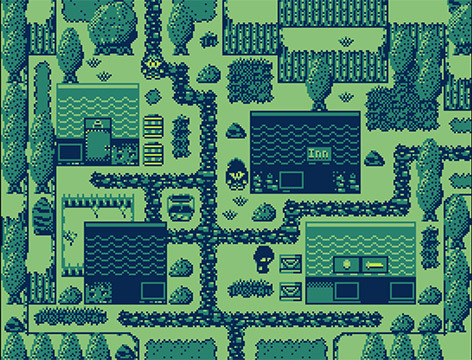 Featuring retro tilesets, animations, walking sprites, sideview battlers and 31 vintage-sounding SFX! This super vintage, super cool, well rounded pack will help you start or add onto your retro themed RPG game! 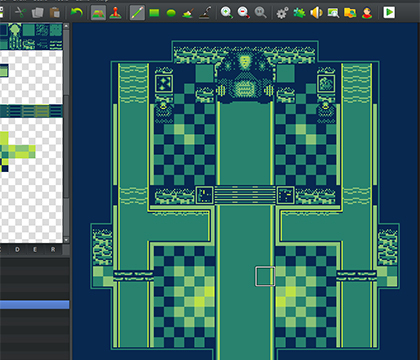 Extras for parallax mapping or control over certain auto tiles without needing shift mapping. Basic system graphics such as retro-style icons and window! 7 Example maps and Pallete plugin files for your convienient use. 31 Retro style SE (sound effects) in .ogg and .m4a format.